Woods claimed a fifth Green Jacket yesterday. Shane Lowry remains in 50th position, while Graeme McDowell is up three places to 112th. Email “Woods surges up world rankings again after mastering Augusta ”. 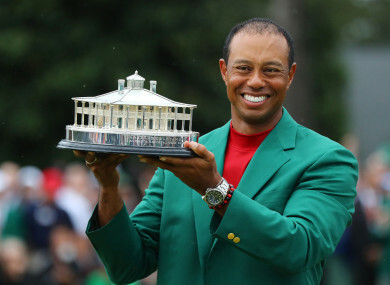 Feedback on “Woods surges up world rankings again after mastering Augusta ”.